Pericytes are multi-potent mesenchymal-like cells found in association with small blood vessel walls. They are important for angiogenesis, the structural integrity of the microvasculature, and blood flow regulation. However, they can also develop into malignant tumors. Pericytes contribute to tissue repair. They differentiate into adipocytes during fat tissue injury, into chondroblasts and bone after bone injury, and into myoblasts in a model for muscle dystrophy. Pericytes have demonstrated the ability to differentiate into fibroblasts and phagocytes (macrophages). 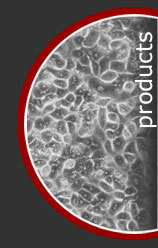 ZenBio offers placenta-derived Pericytes produced at ZenBio's facility from normal human tissues. Each vial contains 500,000 viable cells. 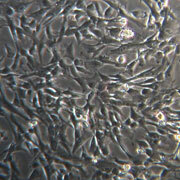 Quality control tests are performed for each lot of Human Pericyte cells. The cells are characterized by their surface markers via flow cytometry. Population distributions expressed as percentage positive are presented on the certificate of analysis for each lot of cells for CD31, CD13, CD34, CD105, and CD146. These are phenotypic markers currently used to identify Pericytes. These cells have a guaranteed purity of 80% and a viability of 90%. In addition, all blood products have been tested for some common blood borne pathogens and microbial contaminants.